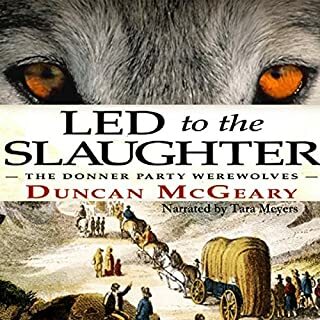 Trapped in the Sierra Nevada without food, the Donner Party are led to the slaughter. After being manipulated and coerced into a string of bad decisions, the travelers, frozen and abandoned, find themselves unable to go forward or back and are preyed upon by werewolves in their midst - the very people they thought were friends. 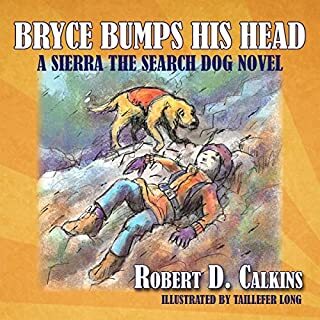 Bryce Bumps His Head is the fourth book in the Sierra the Search Dog series of books for all ages. In this chapter book aimed at elementary age listeners, Bryce and Sierra find themselves searching for a missing Girl Scout on western Washington's Green Mountain. The two face wild weather, steep terrain, and wet rocks in their quest to find the missing girl. But when Bryce is injured, Sierra must step up to save the day...twice! short but sweet, I'm looking forward to more Sierra novels, I hope more long ones in the future. Bryce Finn started out using his golden retriever Sierra's nose to win at childhood games of hide-and-seek. 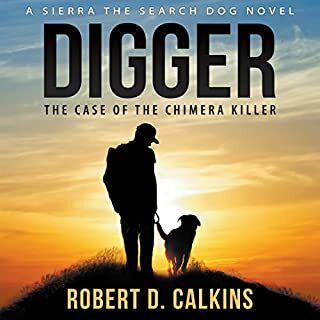 Now 17 and Washington state's youngest SAR dog handler, Bryce and K9 Sierra are hip deep in a series of murders that some political leaders deny is happening at all. Great story, I look forward to many more, I live in western Washington and love SAR dogs. Hollywood has come to the scenic Smoky Mountain community of Hanover County, and dog-trainer Raine Stockton can’t resist the opportunity when her dogs are offered a chance at a role in the film. Filmmaking turns out not to be as exciting as Raine had expected, and the only upside to the long, mostly boring days is the new friend she makes on the set, a stuntwoman by the name of Dallas McKenzie. But it doesn’t take Raine long to discover Dallas is a woman of secrets and lies, and trouble seems to follow her wherever she goes. black and white australian shepherds? no such thing, or should I say EXTREMELY RARE!! Donna Ball needs to get get facts straight!! anybody that would describe a multicolored beautiful australian shepherd as just black and white is looking at a BORDER COLLIE, which is of course only black and white! 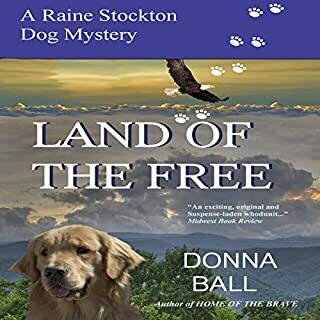 No one knows the mountains of North Carolina like Raine Stockton and her search and rescue dog, Cisco. 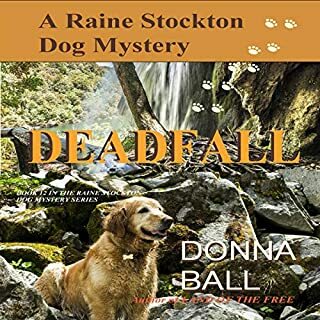 When they are called in to search for an elderly man who has wandered away from home, it seems like a routine mission until Raine looks through her binoculars and sees something she wasn't supposed to see. A dead man is very much alive, a felon is walking around free, and Raine is the only person who can testify to the fact. The problem is that no one takes her claims seriously...except the person who wants her dead. I've listened to all of the Raine Stockton books up to this point, really enjoyed most. This one is at this point almost so annoying I am having second and third thoughts about finishing it. The way the author is writing Raine I can hardly stomach. she's a dog trainer although honestly not a very good one, she thinks because her father was a judge and her uncle the town sheriff it automatically makes her a novice Sherlock Holmes. then she's all surprised when her poking into stuff she's got no business poking into, gets her into dire consequences! then she has a very rich boyfriend that when all he's doing is trying to protect her, she gets all bent out puff shape thinking he's trying to buy her!! if she is uncomfortable with his money, then she's got no freaking business being with him! Urg. I guess I'm just not appreciating the way this author is writing this supposed dog trainer. 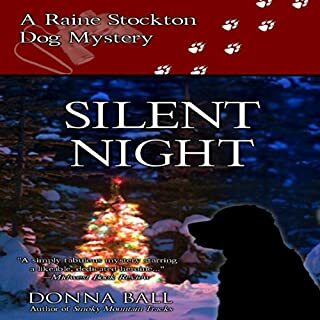 Times are hard in the small Smoky Mountain town of Hansonville, North Carolina, and for former forest service employee Raine Stockton this Christmas will be harder than most as she prepares to spend her first holiday without her family, without a job... and without a dog. When a mysterious Secret Santa starts making dreams come true all over the county everyone's spirits are on the rise, but Raine can't help but wonder whether there is more to this enigmatic philanthropist than meets the eye. I almost didn't bother with this short story, but I'm so glad I did, if you are someone young or old, or somewhere in between, and still love the magic of Christmas, you'll love this story. January is known as the dead season in the small Smoky mountain community of Hanover County, North Carolina. 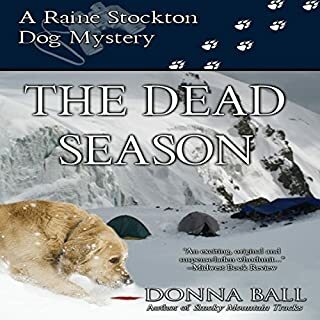 For dog trainer and wilderness expert Raine Stockton, who hasn't had a client in six month, this season has been deader than most. This is my favorite so far, It takes place in the wilderness, up in the woods, a lot of good suspense, couldn't wait to see what was gonna happen. 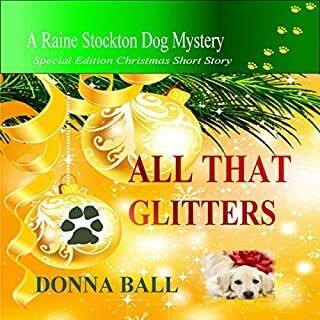 It's Christmas time, and for Raine Stockton and her Search and Rescue dog, Cisco, Hansonville, North Carolina is just like a Norman Rockwell painting - except for the rash of thefts of baby Jesus figurines from nativity scenes, an abandoned box of golden retriever puppies that someone leaves beside her mailbox, and a mysterious gift from one of Cisco's a grateful admirers. Raine already has her hands full with her own misbehaving pooches, unexpected house guests, and a complicated new relationship. warm, funny, heartfelt story, I love dogs, and love to train. I hope the next book is quick in coming. Dog trainer Raine Stockton has lived all her life in the quiet community of Hansonville, North Carolina. She is the daughter of a judge, the niece of a sheriff, and the ex-wife of a deputy. She does not lead the kind of life, generally speaking, in which people get buried in her backyard. 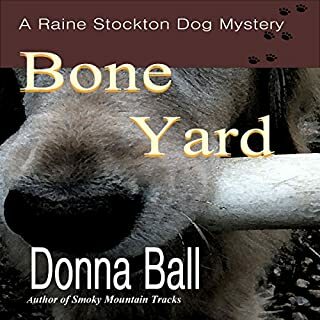 But when Cisco, Raine's mischievous golden retriever, digs up human bones beneath the site of what will soon be her new training kennel, mayhem ensues. it's only a three hour book so it's quick, short but sweet. if you only have a few hours this book will fill them perfectly. This is it. Vega Jane has tried to outrun, outsmart, and outlast her enemy, but the showdown she has dreaded is finally here. Her ragtag crew must take a stand against a fully trained army, knowing the odds are impossible, knowing each of them could die for nothing. But when evil comes, heroes stand to meet it. When injustice appears, the only choice is to stand and fight. 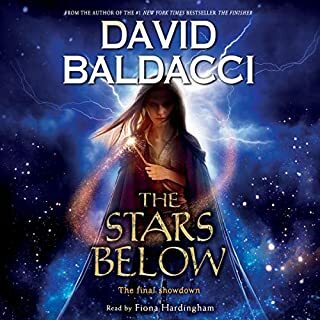 This series is right up there with Harry Potter, and Lord of the Rings, David Baldacci is one of my favorite authors, he usually writes murder mysteries and I have almost all of them, so this fantasy, fiction is a one off but well worth it all the way! I bought the books for my teenage granddaughter, she'll be delighted to know book 4 the finality is here. The narrator in this series Fiona Hardingham is phenomenal!! brilliant even. brings every character to life!